The Phoenix Montessori school is a special place where children come to learn, explore, discover and create within a harmonious social community that truly reflects Maria Montessori’s vision and philosophy. The Montessori environment, which has been carefully prepared to encourage children to work at their own pace and make their own choices, allows each individual to feel nurtured and supported as they develop independence, love of learning and responsibility for themselves in the classroom setting. It has been our goal since 1991 to provide this superior Montessori program for preschool and kindergarten children in our community. Dr. Montessori recognized that children are perfectly capable of accomplishing many tasks, but organizing the environment and helping them get started is needed for them to be successful. She made materials that are easily manipulated and most often self correcting so that children, once they have had a lesson, can work “on their own” without a great deal of adult supervision. We see the joy each day on the children’s faces as they learn to read and write their name or encounter the marvelous world of numbers with the concrete math materials in our classrooms. Parents who enroll their children at Phoenix can be assured of our continuing commitment to Dr. Montessori’s vision of the child as “the creator of the future of mankind.” We look to the children every day for our inspiration and we honor Maria Montessori’s directive to “follow the child” in everything we do at Phoenix. Phoenix is open to preschool and kindergarten children ages two and a half through six. We meet 5 days a week from late August through May each year. Half day and extended day programs with mixed age groups are available. Visit our Calendar page for more information. We welcome your inquiries and school visits. To ask a question or schedule a visit, call our Head Directress, Alice Blackford, at (913) 381-1250, or use our contact form to send us an email. We are a non-profit school which admits students of any race, gender, national or ethnic origin, or religion to all our programs. We do not discriminate on the basis of race, color, national or ethnic origin or disabilities in administration of our educational policies, admissions policies, or any scholarship, athletic or loan programs that we may have, or any other school-administered programs. Alice Blackford studied at Avila College under the direction of Miss Lena Wikramaratne who actually lived and worked with Maria Montessori for 10 years of her life. This great experience, almost like having been under the guidance of Dr. Montessori herself, led to Mrs. Blackford receiving her AMI diploma in 1977. Upon graduation, Mrs. Blackford was asked to lead a class of 3-6 year olds, in which students in the Montessori program would practice teach during their two year training period. In her four years at Avila, she became a mentor to the trainees and increased her skills at representing the Montessori philosophy to parents of the children enrolled in the program. During the next 12 years, Mrs. Blackford assumed the role of lead teacher and program director at an AMI affiliated school in the Kansas City area. With a group of six dedicated Montessori families she founded The Phoenix Montessori School in the Fall of 1992. “Phoenix,” which suggests the power to rise above difficulty and to renew the spirit is the symbol for our school. It holds great meaning for Mrs. Blackford. Over the years, the involvement of our parents and the support of the Board of Directors have been invaluable in continuing the successful program we enjoy today. 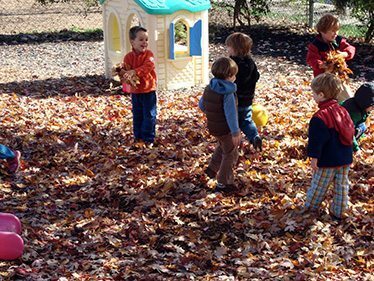 The Phoenix Montessori School is conveniently located in Leawood, Kansas, near the intersection State Line Road and I-435. Our address is 2013 W. 104th Street: View it on a map. To schedule a school visit, call our Head Directress, Alice Blackford, at (913) 381-1250.